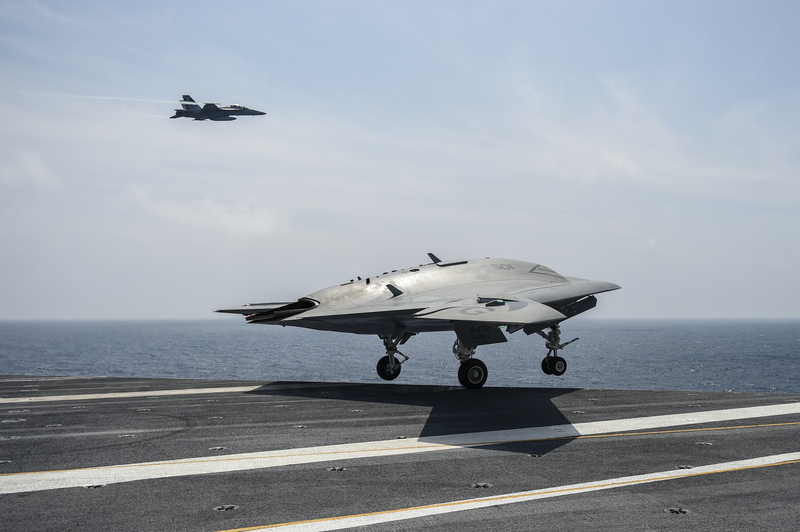 Northrop Grumman & The US Navy Integrate Manned, Unmanned Flight Operations For The First Time Ever! Northrop Grumman Corporation (NYSE:NOC) and the U.S. Navy recently worked together on a project that could represent the future of aviation, integrating manned and unmanned flight operations. 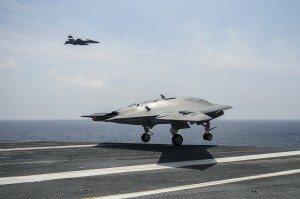 The flights were conducted from the USS Theodore Roosevelt in the Eastern Atlantic and featured an X-47B Unmanned Air System (UCAS) and an F/A-18 Hornet, the first time manned and unmanned carrier aircraft have operated together in the same carrier controlled landing pattern at the same time. As a result, the test provided Northrop Grumman and the Navy an awesome opportunity to collect data intricate in ensuring safety associated with integrating unmanned and manned aircraft. Check out our previous blog entry on this subject: CLICK HERE!